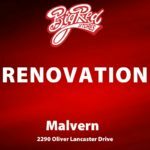 We are renovating our store location #301 – Located at 2290 Oliver Lancaster Drive in Malvern! Stop by our location at 1605 Riverpark Plaza in the mean time! Thanks to all of our loyal customers who make renovations like this possible! We are making this store better for you!